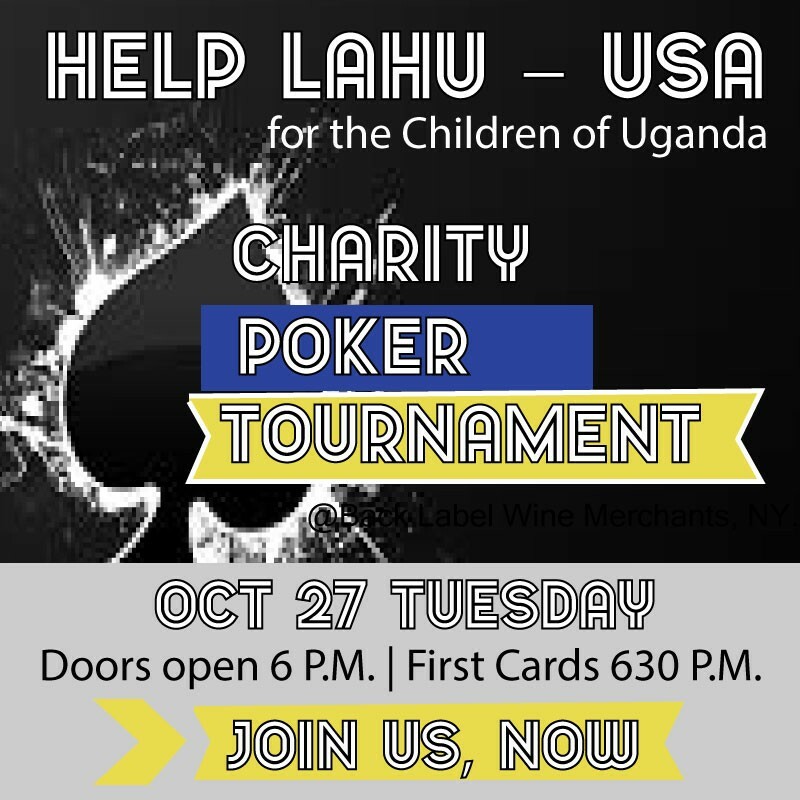 Help LAHU – USA expand projects to reach more vulnerable Ugandan Children and their Families.Every donation dollar goes to help keep abandoned and vulnerable children safe in Uganda. Every cent helps! Make a donation in the amount of your choice now, and help empower vulnerable children and their families. Doors open 6 P.M. | First Cards 630 P.M.
10 players each with 4,000 chips, plus additional 1,500 chips per person (valued at $50 each person). Logo prominently displayed on table, on event step & repeat and on the invitation. No Problem! For any newbies, Poker Divas will conduct a complimentary lesson 6-6:30 pm. Cards fly at 6:30 PROMPT! Gift cards and prizes will be awarded to the top winners. Rebuys and add-ons available on site.